Beyond ourselves, beyond the limits of our upbringing, family, friends, community, society, we could hear about the personal sharing of Chris Torch and his becoming the human being he is today and the importance of culture in our society. 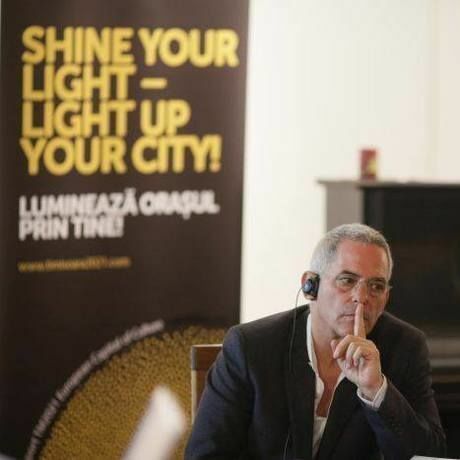 Chris Torch is the Artistic Director for Timisoara 2021, founder and Senior Associate at Intercult, based in Stockholm, Sweden, where he has lived for over 30 years. Apart from large-scale project design, Torch plays a role in developing intercultural policies, in Sweden and throughout Europe. He lectures regularly and serves currently on the Board of Culture Action Europe, the most influential platform for cultural policy development. He has earlier joined the Boards of The European Museum Forum, Platform for Intercultural Europe, and River//Cities. He was originally trained and worked as both actor and stage director.